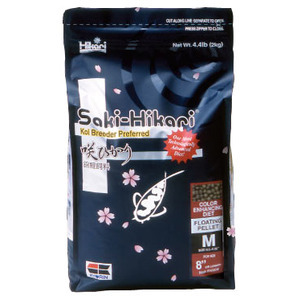 Major Ingredients include fish meal, soya meal, wheat flour, fish oil, soya lecithin, squid liver powder, molasses yeast, wheat germ, spirulina, antioxidant, zeolite, vitamin premix. Water-soluble vitamins include B1, B2, B6, B12, niacin, biotin, folic acid, pantothenic acid, choline, inositol, vitamin C. Lipid-soluble vitamins include vitamins A, D, E & K.
38% min. 3% min. 15% max. 5% max. 10% max. 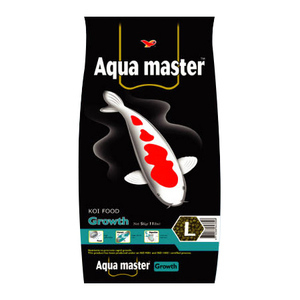 Aqua Master High Quality Koi Food comes in 4 variations for all seasons: Color Enhancer, Wheat Germ, Growth, and Staple. Every product in the range contains well-balanced nutrition, which acts as anti-disease agents to keep your prized koi healthy all year-round. 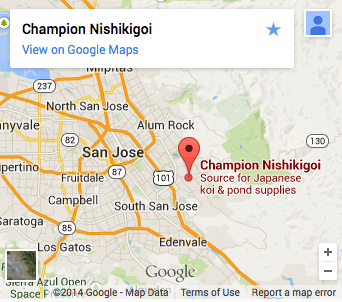 The introduction of Aqua Master Koi Food has been well-praised by koi enthusiasts all over the South-Asian region, England, South Africa, and many other countries in Europe for many years. 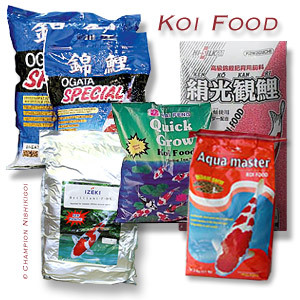 Aqua Master Koi Food is processed under strict quality inspection procedures by the largest food company, Uni-President Enterprises Corp (UPEC). The company has achieved ISO-9001/9002 Certification, it represents both product and design process controls are recongnized worldwide as the leading quality management standard. 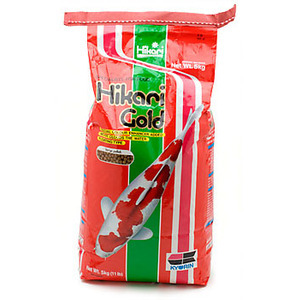 The company also produces its own seafood including cobia, amberjack, sea bass, grouper, and shrimp to make the high quality koi food.